I got so excited putting outfits together to create a cute, fun Halloween costume together. I have created 3 different costumes that are easy to put together and cost less. You can save money buy using what you already have. For my first outfit I used this dress that I bought from h&m some months back, thank God it is a fringed dress and goes well with this poundland bat mask. 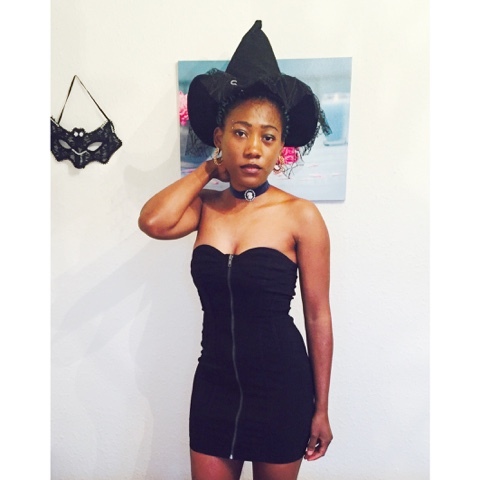 For the second outfit, I used another black dress from h&m and a witch hat from poundland. 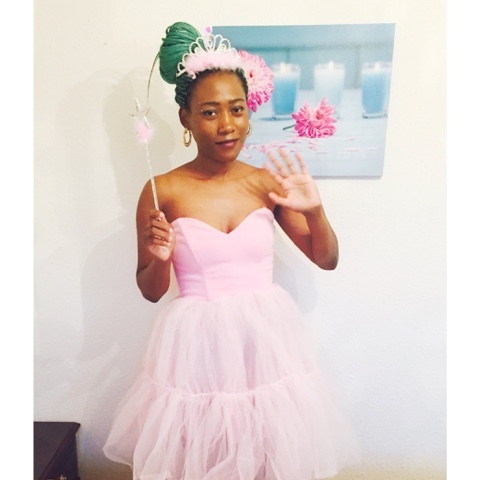 And for last costume I used my pink dress that I wore on my birthday from Asos and bought a tiara and wand from poundland to create a princess look.